You tried so hard to kill me, woman it just was not my time. You put poison in my coffee, instead of milk or cream. You bout the evilest woman, that I ever seen. You mixed my drink with a can of Red Devil lye. Howling Wolf "Commit A Crime"
I don't believe in arranged weddings though I work with some people who do. I don't believe in marrying your relatives either although again I have worked with people who surely must have been the result of such couplings. If I were unfortunate enough to be raised in a culture where both of those things were normal I guess I would have to run away to the big city or stand my ground and refuse to marry my cousin/aunt/half-sister. What I probably wouldn't do is agree to the marriage long enough to calm the suspicions of my family/in-laws so that I could plot a massacre that would make Walder Frey quail at my ruthlessness. Pakistani citizen Aasia Bibi does not share my qualms. The 21 year old woman already had a man, one Shahid Lasari. Apparently they were happily doing their thing together (though given the importance placed on female virginity at marriage in some circles it's unclear as what exactly the unmarried couple was doing) What is clear is that Bibi's family had marriage plans for her. The family wasn't going to take no for an answer any longer. And those plans definitely didn't include Lasari. Well Bibi wasn't going to sit still for that kind of stuff, thank you very much. She took matters into her own hands. 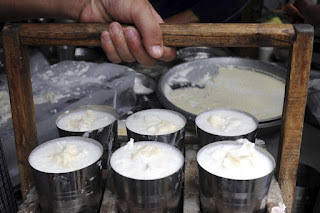 A 21-year-old Pakistani woman, unhappy in her new arranged marriage, is charged with murder after poisoning her husband's milk that some two dozen members of his extended family later drank, resulting in 17 deaths, according to police. The alleged incident took place in a rural village near the city of Multan in the eastern Punjab Province. 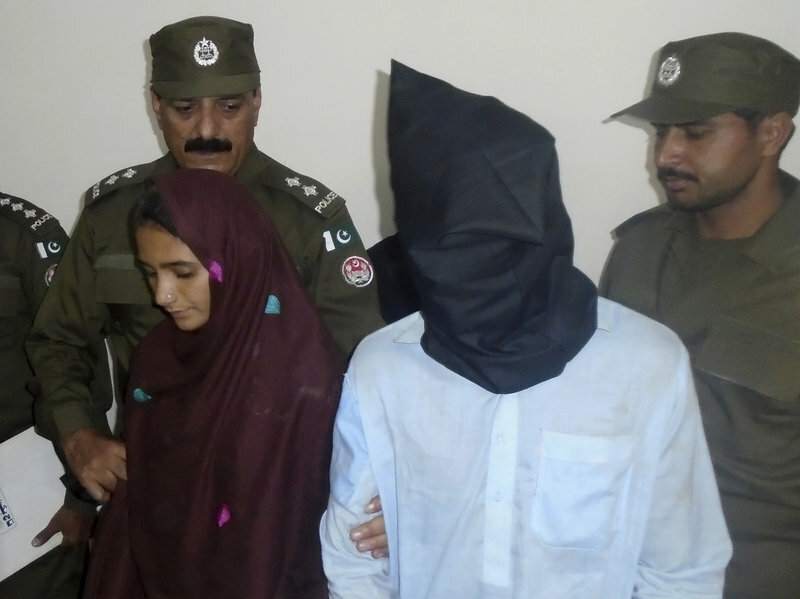 District police told NPR that the woman, identified by The Associated Press as Aasia Bibi, had earlier rejected two proposals from her current husband, but by the third proposal, her family forced her to marry him. The woman had wanted to wed a different man. Days before the alleged poisoning, Bibi had fled her husband and returned to her parents' house, pleading to stay. Police told NPR that Bibi's parents forced her to return to her husband's home, which the couple was sharing with his parents. District police chief Sohail Habib Tajik told the AP that Bibi then obtained a poisonous substance from her boyfriend, Shahid Lashari, mixed it in milk and offered it to her husband last week. He never drank it. Instead, his mother unknowingly used the poisoned milk to make yogurt lassis that she served to 27 members of the extended family. The BBC reports that eight people died not long after consuming the drinks on Thursday, but the death toll has been rising and one week later, it stood at 17. Ten people remain hospitalized, reports AP. On Tuesday, Bibi appeared before a judge to face murder charges and spoke to reporters gathered at the courthouse. "I repeatedly asked my parents not to marry me against my will as my religion, Islam, also allows me to choose the man of my choice for marriage, but my parents rejected all of my pleas and they married me to a relative," she said, according to AP. The woman told reporters that her boyfriend gave her the poison that she mixed into her husband's milk, reports the wire service. But she said she never intended for others to drink it and expressed remorse over their deaths. Murder is not an appropriate response. But then again bullying someone to enter a marriage isn't appropriate either. Wiping out half of the extended family and saying "my bad" because you only meant to kill certain people is not going to win you very many sympathy points at most Thanksgiving dinners I've attended. So there must be punishment. But perhaps Pakistan and a few other places might start to realize that arranged marriages and the almost inevitable associated child marriages, relative marriages and honor killings are backwards practices that need to be outlawed and more importantly disdained. When it comes to something as important as choosing the person you intend to share your good thing with for the rest of your life I think it has to be left up to the individuals involved. No one else.